Good news for all those who want to pay a spontaneous visit to the Hahnenkamm Races this weekend: tickets are unlimited for the whole weekend's events. These can be purchased from all sales points at the Hahnenkamm. An overview of the prices can be found here. Please click here for further information. If you are planning to visit both the finish area and walk around the racecourse, sturdy shoes (possibly with spikes) are recommended. You can also ski down the Parallel Streif! Don't forget children's ID. 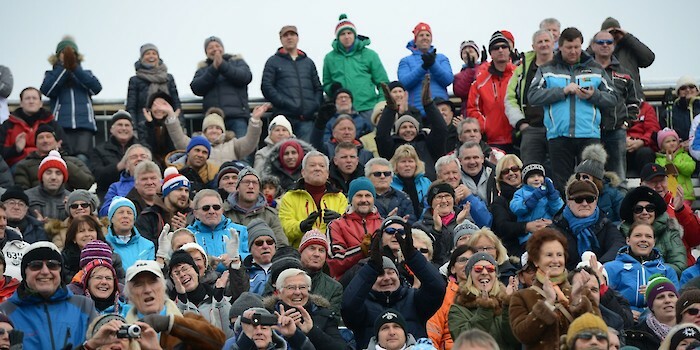 Detailed visitor information for the Hahnenkamm Races can be found in the conditions of entry. It all kicks off on Friday with the Super-G at 11.45 hrs, followed by the Combined-Slalom at 16.15 hrs. The awards ceremony takes place at 18.30 hrs in the finish area! We look forward to welcoming you and hope you enjoy the races!